Newly refurbished 303 rooms & 62 suites are attractively decorated and are installed with data port connections for e-mails, internet and fax services, fitted with individually controlled air-conditioning, remote control colour TV with satellite & cable TV linkage (17 channels), IDD telephone with voice mail, room safe card key security, refrigerator and in-room tea/coffee facilities. Each suite has its own living room and private king size bed room and can accommodate up to 3 adults or a family of 2 adults and 2 small children. 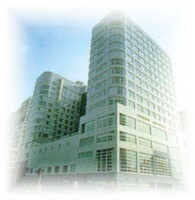 Special business rooms with workstation area, fax, laser printer and computer with unlimited Internet access. For Business Or Pleasure For Families, Women, Men and Groups Situated at the tip of Kowloon Peninsula with magnificent views of Victoria Harbour and Hong Kong Island.